Before adding a dog to your growing family, there are few essential things to consider to make sure you get the perfect fit. This article will break down the best dog breeds for families, offering 5 kid-friendly dogs to choose from. After all, what’s better than packing up the car for a trip to the park with you, your partner, your kids and the family dog? No single dog breed is right for every family out there: Every family is different and has their individual preferences and needs. In fact, a feature in a dog breed that one family might love could be the reason another family decides to choose a different one. But before we get into a deep dive of each breed, let’s review the three basic factors every family should consider (and decide on) before getting a dog. The dogs on this list will range from small to large breeds; that way, we’ll have a good fit for every preference. With that said, the size of the dog is a big factor when you’re looking for the best dog for kids. Bigger dogs, obviously, require more space than smaller breeds. And that means families with smaller living spaces or non-pet friendly apartments and condos might not be the best fit when it comes to bigger breeds. Smaller dogs, on the other hand, could be a less-than-ideal fit for families with younger kids. They might not know how to properly treat a smaller dog and may be a tad too rough with it. Consider this: Depending on the temperament of the breed, some might bark more or less, some might have higher or lower energy levels, and some may or may not be prone to chewing. All of those are important things to think about in a dog breed. If you have young children who might get bothered or upset by a loud, barking dog or if you have fragile items that you don’t want an energetic dog to chew on, that’s something you need to consider. On the other end, if you’re looking for an energetic jogging partner or an active playmate for your kids, you’ll want to get a breed with a more spirited temperament. Or, you might be looking for the perfect furry friend to curl up with on the sofa between you and your kids. Whatever your taste, there’s a great fit for you! While all types of dogs require a level of care and maintenance, different breeds require different commitments. A longer haired breed, for example, will require more brushing and grooming than a short haired breed. If you already have a super-busy schedule (work, kids, hobbies, house care, etc.) and are looking for a lower-maintenance dog, a short haired breed might be a better choice. Without futher ado, these are our top five picks for the best dog breeds for kids. Keep in mind they are not in order: Evaluate the pros and cons and pick the breed that fits best for your family. There are fewer more iconic dog breed in the U.S. than the beagle. The beagle has a relatively smaller size, which makes them easier to carry and hold, and the have a calm, yet energetic temperament that’s great for families. Originally bred as hunting dogs, a beagle is right at home or in any outdoor setting. If you have kids who love playing outside, hiking or going on outdoor runs, the beagle is the perfect, trusting companion because of their deep-seeded love of nature. Smart, friendly, and happy, the Beagle is a short-haried breed who also tends gets to along with other pets. And, of course, you can always name him or her, Snoopy! Despite being a short-haired breed, beagles do require a bit of grooming. They tend to shed a lot and, because of how active and high-energy they are, they tend to get into things and need more frequent bathing. Since they’re hounds, Beagles are known for being more vocal, with a loud bark and some howling. Also, they might be a little stubborn, which can make obedience training and house training more difficult. 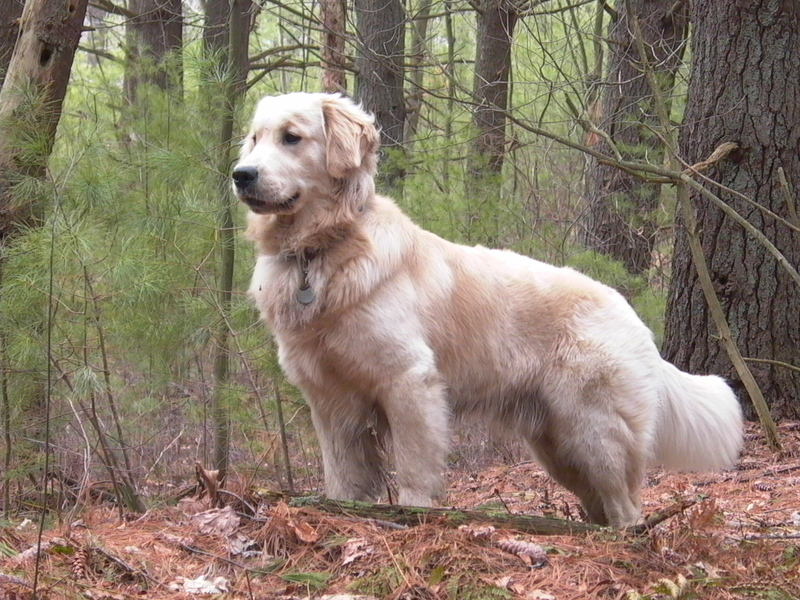 The Golden Retriever is one of the most popular breeds in America and synonymous with the American lifestyle. You see them everywhere from service and guide dogs to even major motion pictures like the “Air Bud” series! As one of the smartest, most confident, kind, and loyal dog breeds out there, the Golden is a great choice for any type of family. With neither an overly aggressive or timid temperaments, their innate patience makes them the a great match for kids of any age and families of any size. Golden’s are as smart and kind as they are obedient and easily trained, meaning anyone who comes across you walking your dog will fall under their adorable spell instantly. While their fluffy coats do require some brushing during the week, they don’t get very dirty because they prefer to live indoors — with their family — rather than outside for long stretches of time. You’ll need to dedicate a lot of your time playing with this dog because they love to exercise a lot and they’ll need the stimulus. Anything your dog can go fetch, whether its a ball or flying disc, your Golden will love it. Fortunately, it’s a pretty easy con to take care of! From their adorable stubby legs, cute squished face or distinct look, everyone loves an adorable bulldog. 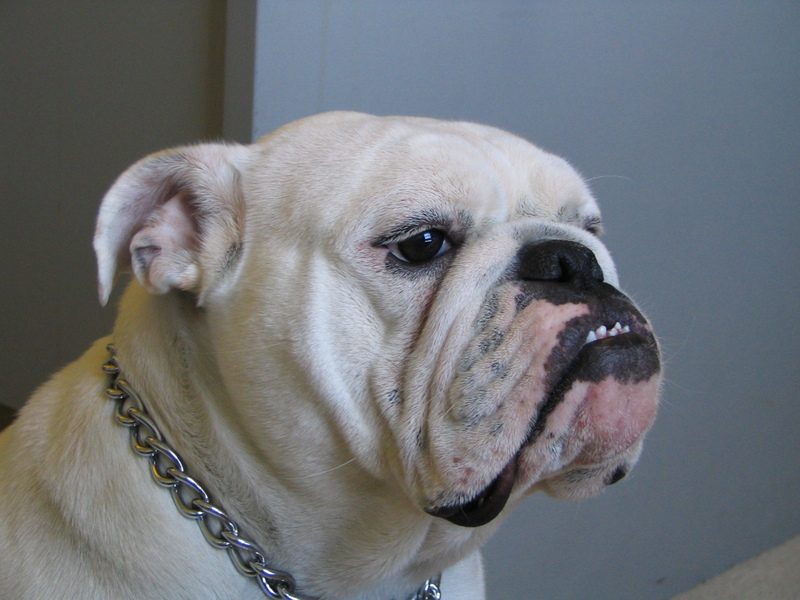 Whether it’s an English or American breed, the bulldog is a fantastic choice as a family dog for household leisure. The bulldog is a great choice for families with small children looking to latch onto a dog their size — they’re devoted, patient, and very affectionate. With their sturdy build and love of roughhouse play, it’s hard for a kid to play too much for a bulldog. They’re one of the best dogs for children on this list. A typically docile, friendly, and loyal smaller breed, they’re comfortable in almost any living arrangement: They’re just as much as home in small apartments as they are in large houses. They’re also great with outside visitors (and even with other pets and dogs), which makes them the perfect fit for a busy, social family. Despite their friendly nature, they aren’t known as the “most energetic” breed. So, if you’re looking for a vibrant, enthusiastic personality, they might not be the best fit. They also are susceptible to some health issues and breathing problems due to their adorable, yet squished in face. These dogs tend to snore very loudly, along with some drool and wheezing to match, so keep that in mind. When it comes to pop culture, the only dog even close to the Golden for its fame is the Collie (also known as “Lassie”). Smart-as-a-whip, they’re a great long-haired option for those looking for a loyal, dependant medium-sized dog. This typically mild-mannered herding dog is packed full of energy, easily trainable, and ready to play for hours on end. They are gentle dogs, although not particularly fond of roughhouse play with very small children. For first-time dog owners looking for one that’s trusting and trainable, the Collie is a fantastic pick. While Collies are mild-mannered and smart dogs, those features can make them a bit stubborn until they’re properly trained. Next, their long, silky fur can be challenging to keep clean and groomed — they should be brushed often and taken to the groomer for regular cuts so their coat stays healthy and beautiful. You might need to spend an extra bit of time, energy, and money to groom a breed like the Collie. The Golden Doodle is a mix of Golden Retriever, which we covered earlier, and Poodle, which gives you the best of both. Imagine combining the loyalty, intelligence, and energy of a Golden with the beautiful, curly hair of a Poodle! Known as smart, trainable, and well-tempered dogs, the Golden Doodle comes in all shapes and sizes, so it’s no trouble to find the perfect one for a home of any size. Also, consider this: They’re one of the few hypoallergenic dogs around — which is great if you tend to suffer from allergies — and come in a wide range of colors. Next, their short, wavy coats generally don’t require much grooming. And they can live up to 15 years, making them a great chocie for families looking for a companion their kids can grow up together with. This dog breed has a lot of energy, loves to play, and can wear out even the most energetic family with their love of play. Daily outdoor exercise is a must for this breed. Another issue is that if they’re left alone for too long, much like their Golden Retriever cousins, can feel some separation anxiety and chew up things to deal with the stress. Please avoid supporting puppy mills. These mass-production “factories” use unethical practices to maximize profits (and number of puppies) and can condition their dogs to fear humans and be anti-social. Backing each pup with our 1-year genetic health guarantee. Working closely with licensed veterinarians to be sure our puppies are healthy, and that deworming and vaccination protocols are current. Even better, each puppy grows up playing with kids and, as a result, are ready and excited for a loving, family life with children. To view our puppies, click here.